Fleece cover for the couch, buy at the price of 15 in Europe. 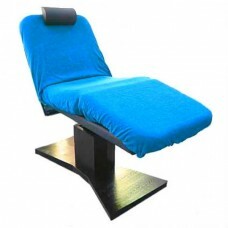 Cosmetology couch is the most important and necessary element of beauty salon. That is why, it is so important to keep it in good condition. In order to do this, we propose you a fleece cover for the couch. The cover protects the couch securely of various contaminants and damages; significantly prolonging its use and keeping the new look. Protective cover also creates an atmosphere of comfort and convenience for customers, and its softness will give them a sense of tenderness and relaxation. Cover is mounted on a couch easily and securely with a rubber band, which is sewed by the perimeter of the cover. It will provide a secure hold and prevent slipping of cover during manipulation. Cover has standard dimensions, which coverage the surface of the couch completely. Fleece is pleasant to the touch, safe and has antiseptic properties. Fleece cover is the best solution for beauty salons, who care about their customers.